Early Registration Pricing: $50 for 1 child, $75 for family (2+ children) - Now through April 30th! Our nursery is set up and staffed with volunteers to love on the tiniest members of your family (serving newborns through crawlers). 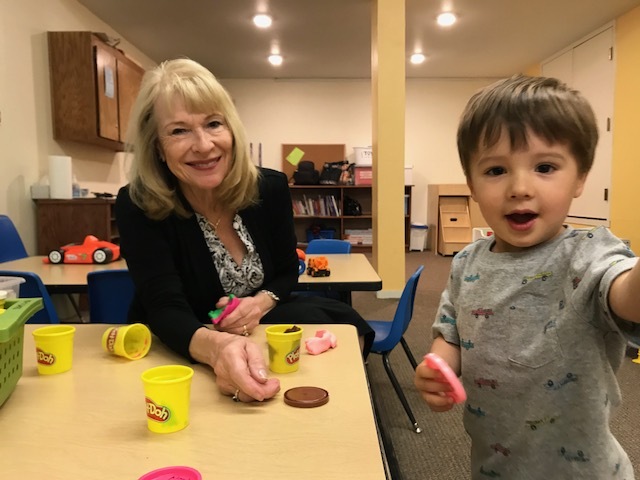 Our toddler room (serving walkers through 2 years 11 months) is full of fun toys, a dedicated outside play area, and teachers there to play with your tots, teach them basic Bible truths through Play-n-Worship curriculum, and keep them safe of course! Our Preschool room (serving potty trained 3 years through Pre-K) is set up to introduce your children to more of a classroom setting where they learn Bible stories, through Play-n-Worship curriculum, that reinforce Bible truths, as well as enjoy play time, snack time, and time on our playground. Our Kindergarten - 5th grade program offers three age-specific Bible Classes at 9:00 and a combined-age Kid’s Church at 11:00. Both hours use The Gospel Project curriculum presented in different ways to reach many learning styles. Attending both Bible Class and Kids Church provides the children with the most comprehensive teaching. 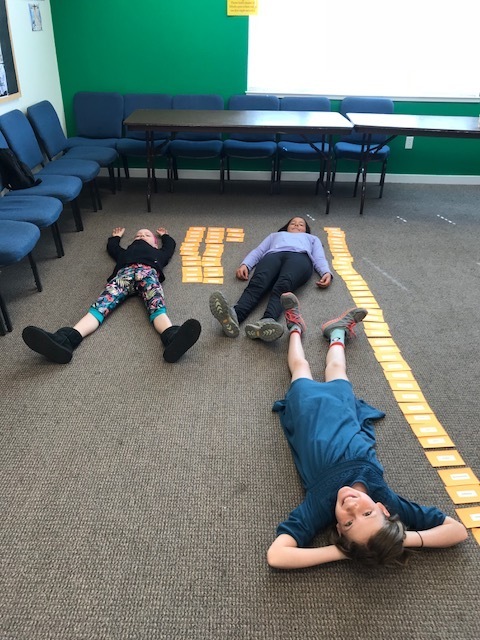 9:00 Bible Classes (K/1, 2nd/3rd, and 4th/5th) focus on teaching through hands-on interaction with the Bible, small group discussions, games and activities. 11:00 Kids Church (K-5th) is a large group, small group format. The children learn through an engaging message and large group worship. Then they split into small groups where they follow up the lesson with a variety of activities. Kids Church and the K-3 Bible Classes finish class on the playground. We believe kids playing and having fun together is an important part of their growth in the church community! Our purpose in Children’s Ministry at Hillside is to ensure that every child that comes to Hillside experiences Jesus’ love and draws closer to God through relationships and teaching. Luke 9:48 says, “Then he said to them, ‘Whoever welcomes this little child in my name welcomes me; and whoever welcomes me welcomes the one who sent me. For it is the one who is least among you all who is the greatest,’ and this is the driving force behind our ministry. We aim to provide a fun, kid-centered environment and teaching that helps our kids learn Bible truths, develop relationships with Christ, and create a community where all our children and families feel welcome, known, and loved. We believe that children are a vital part of the church body. 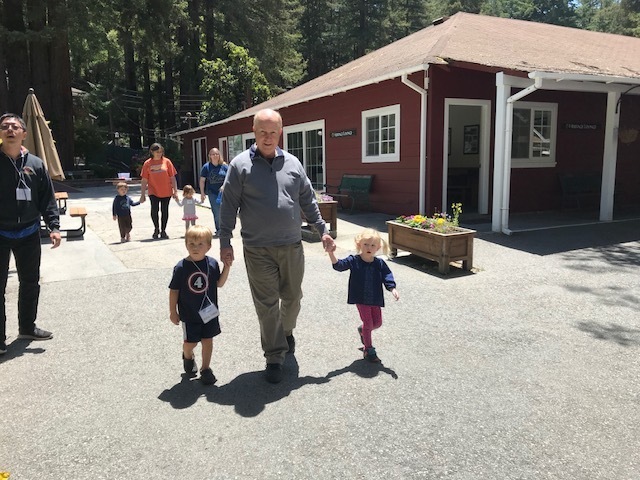 It is our desire, as a children’s ministry, to help them experience that through identifying the gifts God has given them and using those to serve the congregation and the world. 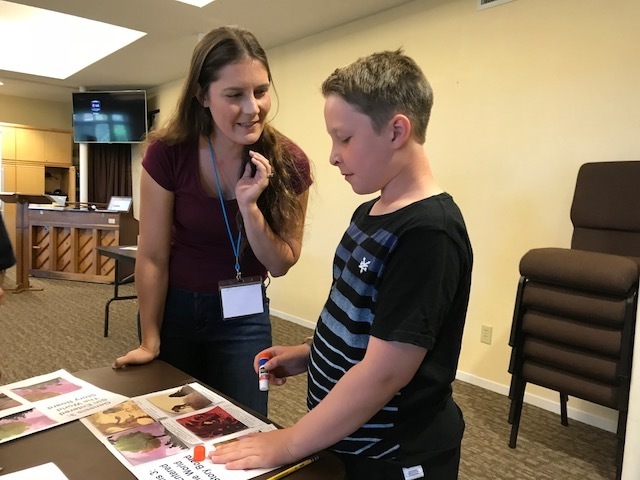 We want to enable them to not just learn Biblical Truths, but live them out through serving on the worship team, during the Bridge community time, at our vacation bible school Missions station, among many other opportunities. These opportunities help our children know that their love in the world is a powerful force! MOPS stands for Mothers of Preschoolers. We are a Christian based program for mothers of all ages, lifestyles, and backgrounds who are currently expecting or parenting children from infancy through kindergarten. At MOPS you can expect to receive encouragement and inspiration from other moms as you journey toward being the best mom you can be! Join us for a quarterly dinner, teaching, devotion and prayer support for parents of children with special needs. Two churches are collaborating on this resource for families! Relevant topics and biblical teaching will be provided at each session. Childcare available by reservation only. Cost $5 per adult for dinner and childcare. Please check the calendar for the next event! Gatherings are scheduled several times a year for adoptive and foster parents to come together to share and support each other as they experience the unique challenges of parenting adoptive and foster children. Dinners and speakers are usually a part of the gathering. Please check the calendar for the next event!